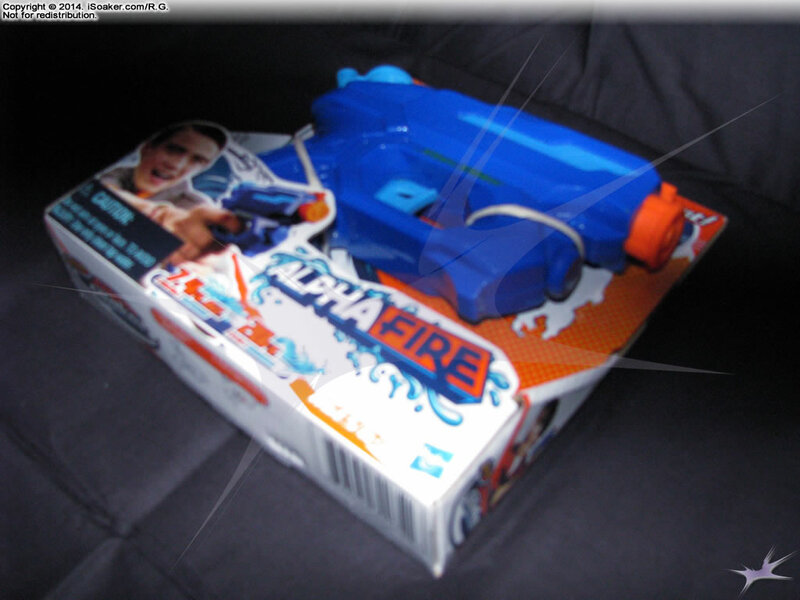 The Nerf Super Soaker Rebelle Blue Crush Soaker is a pump action water blaster under the Nerf Rebelle line aimed at female water warriors. 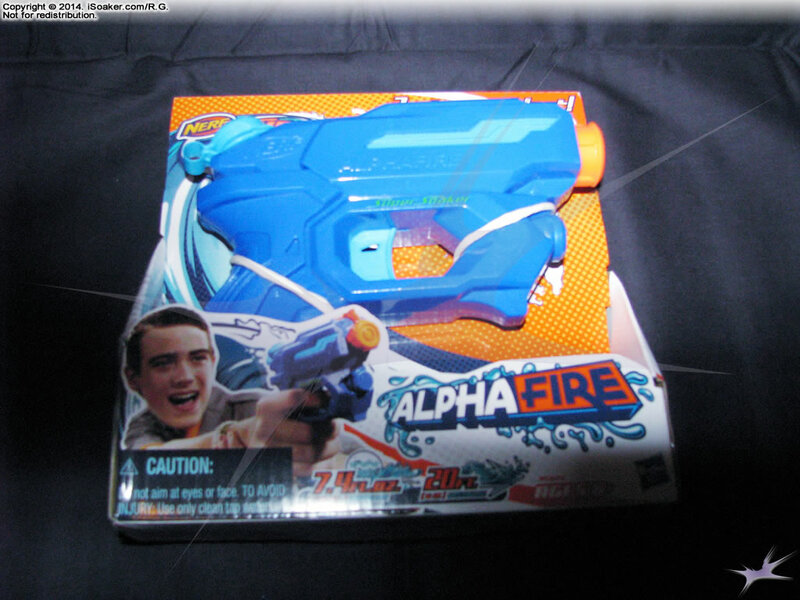 In many ways, it is akin to the 2014 Nerf Super Soaker Freezefire, albeit being smaller, having a much smaller reservoir opening, and being the only 2014 Nerf Super Soaker to feature a Nerf Tactical Rail. 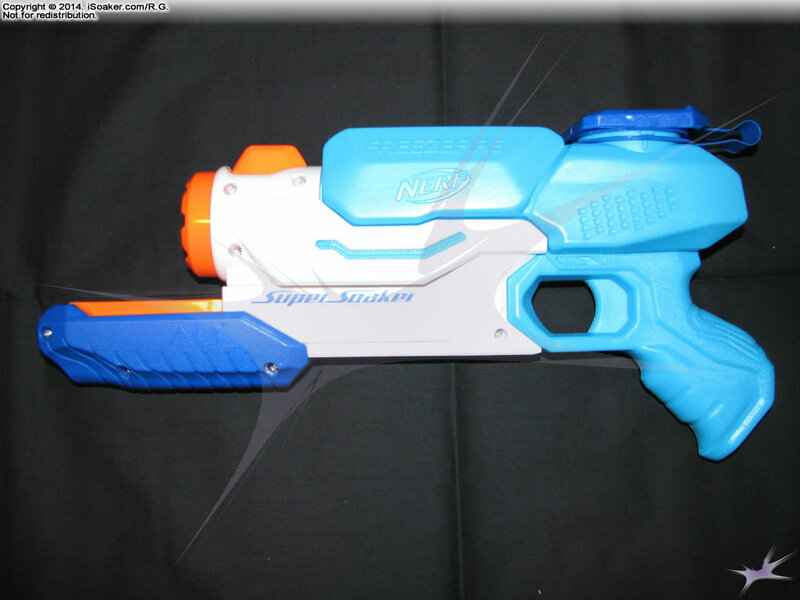 The Nerf Super Soaker Rebelle Blue Crush is decent and yields a smooth stream for the duration of the blast. However, being a pump-action water blaster, the stream does not last particularly long. 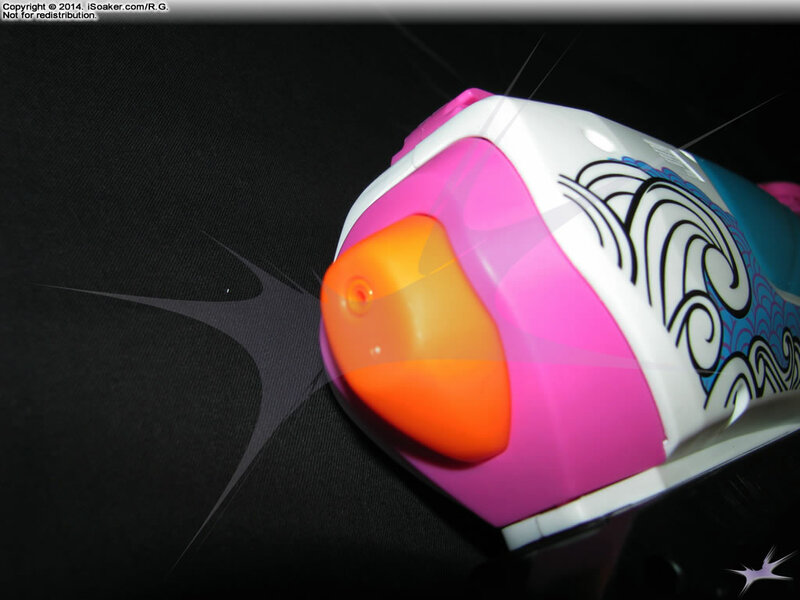 Above and slightly behind the nozzle is where a Nerf Tactical Rail is placed. At best, perhaps the camera-attachment might be worth mounting on this water blaster for some interesting point-of-view soaking shots. Otherwise, the usefulness of a Nerf Tactical Rail on a pump action water blaster this small remains to be seen. 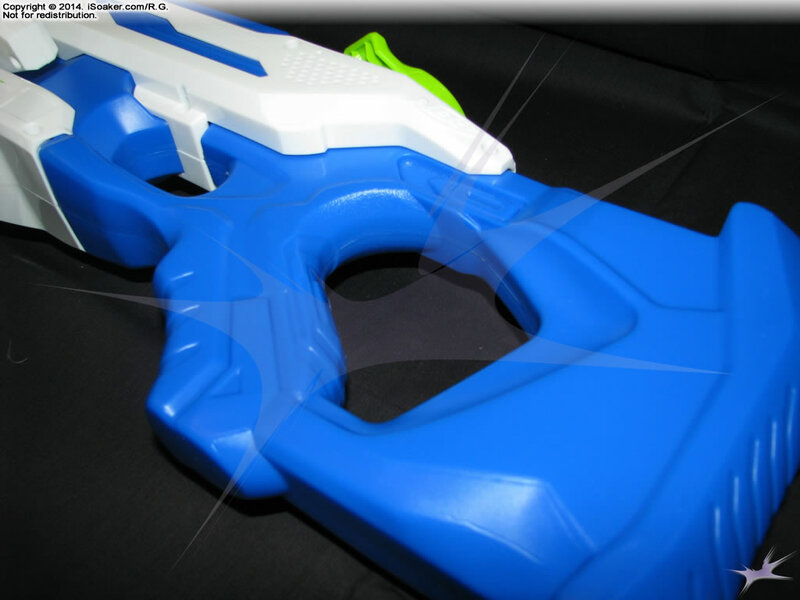 Like the 2013 Nerf Super Soaker Arctic Shock and Nerf Super Soaker Shotwave, the pump is comfortable to hold, but its less pronounced riges and more angular design provides less grip than the 2013 Nerf Super Soaker pump-action water blasters. 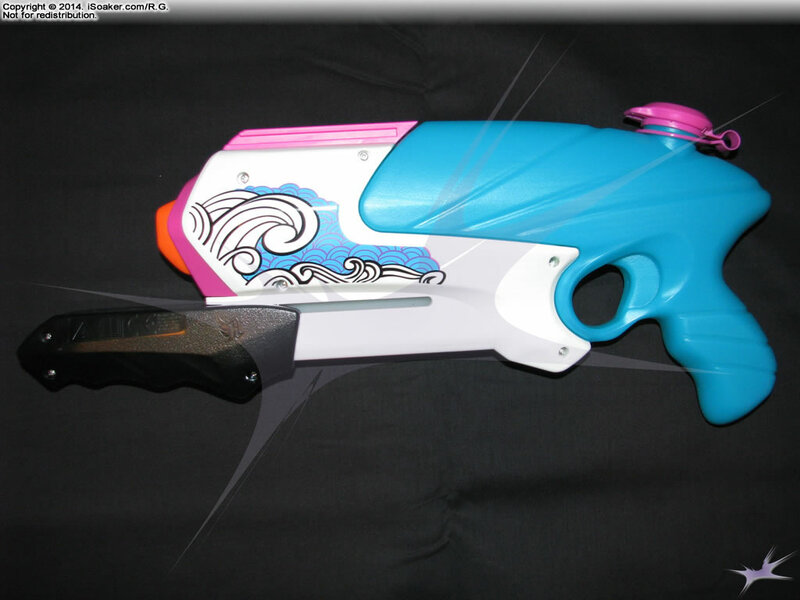 The Nerf Super Soaker Rebelle Blue Crush's pump also has some pump lag, though less pronounced than other 2014 Nerf Super Soakers, possible due to the fact that this is a smaller blaster. 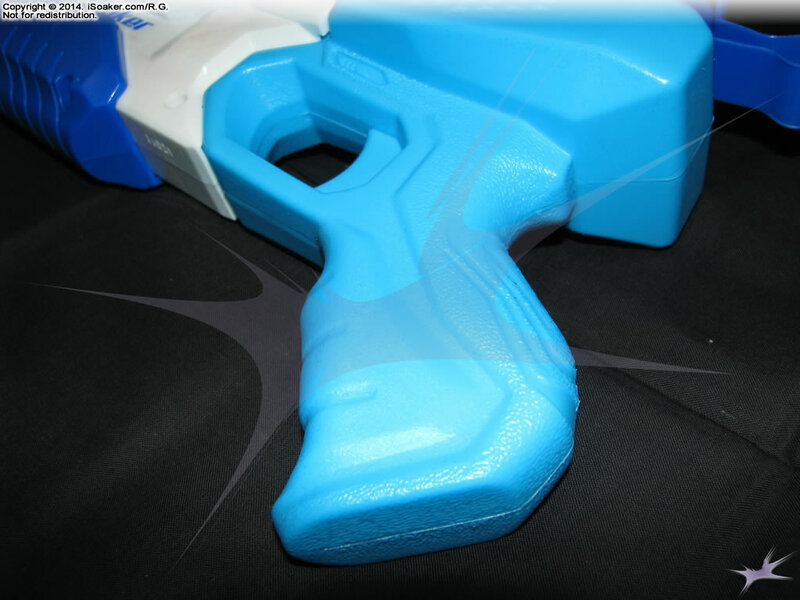 The trigger and grip area on the Nerf Super Soaker Rebelle Blue Crush, like the rest of the other current Nerf Super Soaker models, is well moulded and quite comfortable to hold. However, compared to the 2013 Nerf Super Soakers, the build does feel a little less solidly built, perhaps due to the fact that this grip area is actually part of the reservoir and made of a different type of plastic than the grips of most of the 2013 Nerf Super Soaker models. The reservoir of the Nerf Super Soaker Rebelle Blue Crush is a decent size for the blaster's size, but is capped by a smaller-diameter, externally tethered 1/4-turn cap. 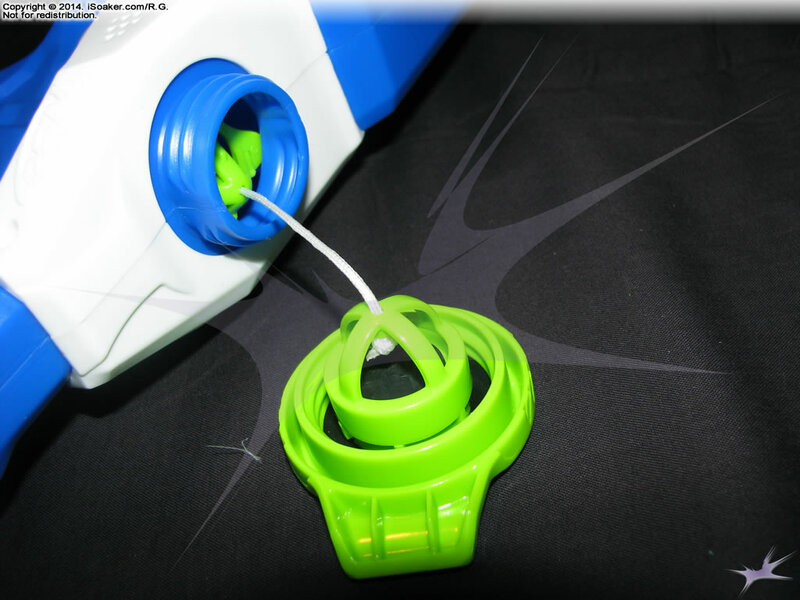 The cap does not feature any sort of rubber gasket and has an air inlet hole drilled into its center. 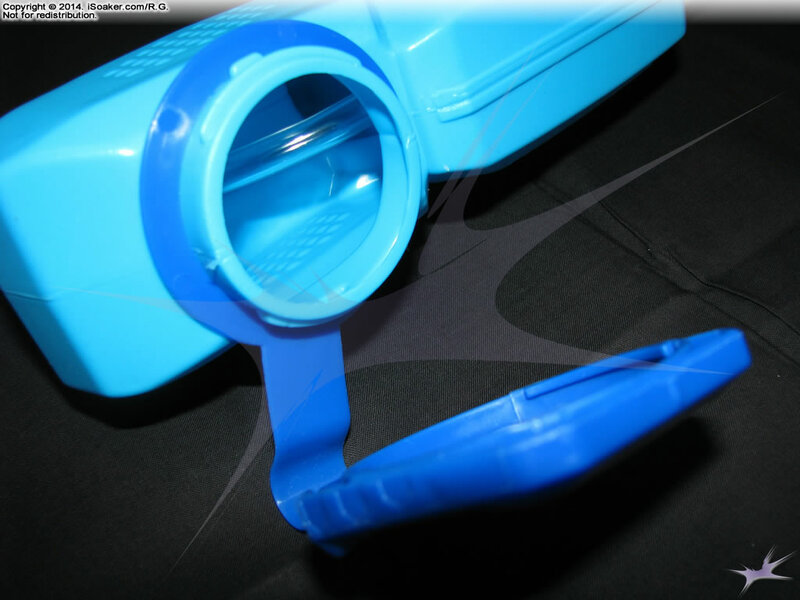 While this air port allows air to enter when water is drawn into the pump to prevent the reservoir from imploding, the lack of a simple valve or non-linear opening allows water to dribble out when the blaster is angled high or left on its side. Additionally,the cap looks like a snap cap, but needs to be twisted 1/4 counter-clockwise only in order to open the cap. Upon initial inspection or if in a rush, there are no visual cues provided to let the user know how to best access or seal the reservoir. 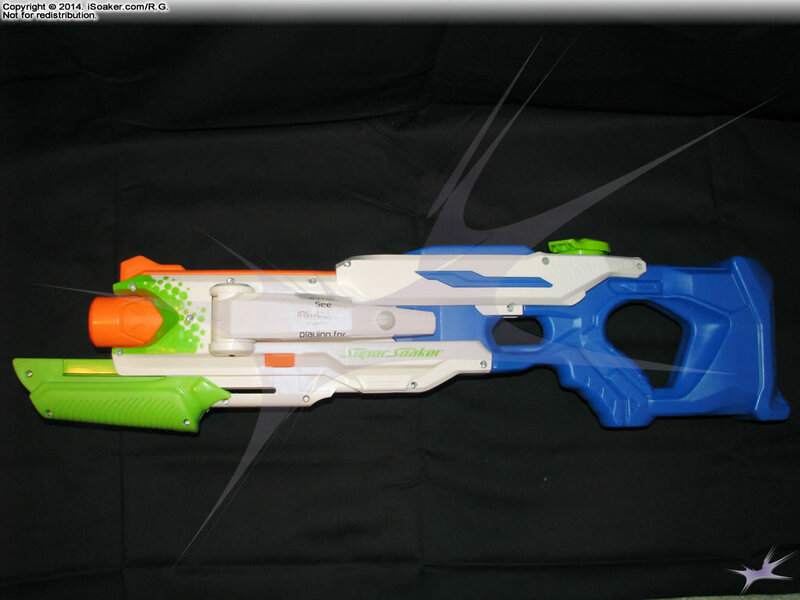 As a whole, the Nerf Super Soaker Rebelle Blue Crush is a small, decent performing pump-action water blaster. Potentially dribbly cap and not-particularly-useful Tactical Rail addition aside, the Nerf Super Soaker Rebelle Blue Crush is a comfortable to hold and use. 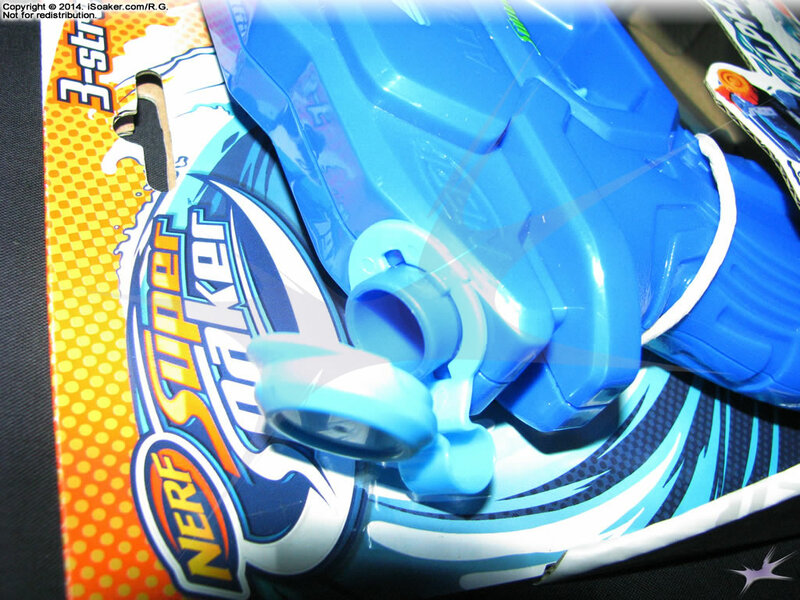 Good as a backup or as a primary blaster in light engagements, the Nerf Super Soaker Rebelle Blue Crush should be able to keep pace with other water blasters of similar size, but being pump-action, one must be wary of any truly pressurized water blaster users.